Home » Past Screenings » TULLY Advance Screening Passes! 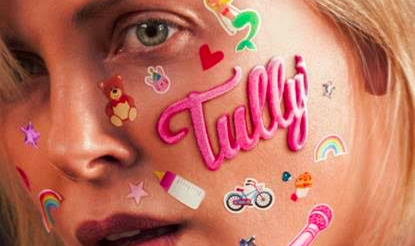 Do you want to see TULLY before anyone else? Learn how you can see an Advance Screening to see it before anyone else. SYNOPSIS: A new comedy from Academy Award®-nominated director Jason Reitman (“Up in the Air”) and Academy Award®-winning screenwriter Diablo Cody (“Juno”). Marlo (Academy Award® winner Charlize Theron), a mother of three including a newborn, is gifted a night nanny by her brother (Mark Duplass). Hesitant to the extravagance at first, Marlo comes to form a unique bond with the thoughtful, surprising, and sometimes challenging young nanny named Tully (Mackenzie Davis). TULLY is in theaters on May 4th, 2018.